Selected from the best organic Jojoba Seed and cold pressed to preserve its virtues, Florame’s Organic Jojoba Oil is truly genuine pearl of beauty from the nature. This vegetable oil can be used alone or combined with a few drops of well-chosen essential oils, delicately providing your skin the purest care and nourishment needed. Made from steam distillation of flowers, which cross breed from English and spike lavander, Florame’s certified organic Lavendin Essential Oil is botanically and biologically defined. No synthetic ingredients, no dilution with other essential oils, no modification made to their natural composition, Florame’s certified organic Lavendin Essential Oil guarantee to be of the purest and highest quality. Selected from the best organic Evening Primrose Seed and cold pressed to preserve its virtues, Florame’s Organic Evening Primrose Oil is truly genuine pearl of beauty from the nature. This vegetable oil can be used alone or combined with a few drops of well-chosen essential oils, delicately providing your skin the purest care and nourishment needed. Made from steam distillation of plant’s leaves, Florame’s certified organic Eucalyptus Essential Oil is botanically and biologically defined. No synthetic ingredients, no dilution with other essential oils, no modification made to their natural composition, Florame’s certified organic Eucalyptus Essential Oil guarantee to be of the purest and highest quality. This luxury botanical preparation offers exceptional natural absorbance and full therapeutic synergy to protect the skin against dryness, stretch and overstretch of pregnancy growth. With a base that includes cleansing and sebum-comparable Jojoba, and nutrient rich, anti-oxidant Avocado – at pristine organic value – this is a premium blend to affect deep skin health with optimum conditioning support. 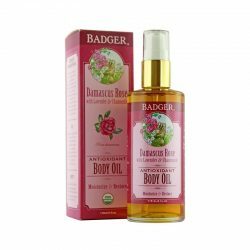 It carries a potent crafting of essential oil properties for organic healing, rejuvenation and balance, supplying the skin with the ultimate in super-food to enhance natural elasticity and tone. Apply daily during pregnancy to breasts, thighs and belly. Also use post-partum to assist the recovery process and on old stretchmarks to encourage new restorative process. Absolutely safe and silky smooth, Stretchmark & Tone Oil is a great natural choice for pregnancy massage.